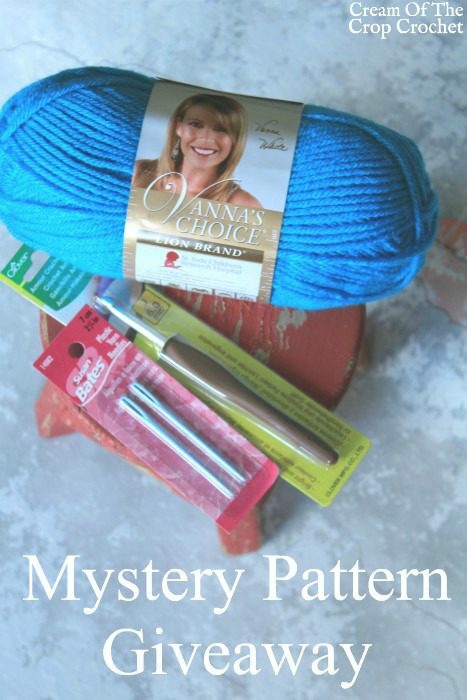 Why would I call this giveaway, Mystery Pattern Giveaway? Well that’s simple. These materials are everything you need to make my upcoming pattern! Why am I making this such a big deal? Well I actually haven’t designed a pattern in over a year. Yes, patterns have been released although those were just stocked up patterns. You may have even noticed the print, email, and PDF button at the bottom of posts, you can now right click on the site, and that annoying pop up in the lower right hand corner is gone. Make sure to let me know if there is anything else I can do to improve your experience on the site. Enter for the giveaway in the widget below this photo. This Thank Y’all Giveaway is only open to the United States (except Hawaii and Alaska) addresses, and ends 8/4/2017 at 12:00 am Eastern US time. Your email address is the only mandatory entry, and is not added to email lists (I hate when that happens too). Prize will be given to one lucky winner. To enter use the form below. Good luck, y’all! ? I’m thinking a baby blue beanie with a top knot done in HDC.? your next pattern will be a Kitty Toy!!! I’m guessing the pattern is a hat. I love mystery patterns! 1 skein is enough for a hat or ear warmer, but then again, maybe fingerless mitts or boot cuffs. I’m going with boot cuffs. Looking forward to your new pattern! ? And forgot my guess…maybe a scarf? Good luck!! What a lovely site! Baby blue hat….bet it’s adorable! I love that vibrant blue! Perhaps the upcoming pattern is a hat. I would think baby booties. Great color. I think it’ll be a hat! My guess is a hat. Something loose & slouchy, just right for fall weather. Love your site! Perhaps a hat or fingerless gloves? It will be fun to discover! I thought a beautiful scarf! I am thinking maybe a scarf. just got some of that same yarn on clearance and love the color – thinking maybe with a J hook, whatever it is will be using two strands together??? one ball of yarn…hmmm…maybe a hat or a cowl? A scarf would be nice for he upcoming seasons. Scarf for winter would be nice!? 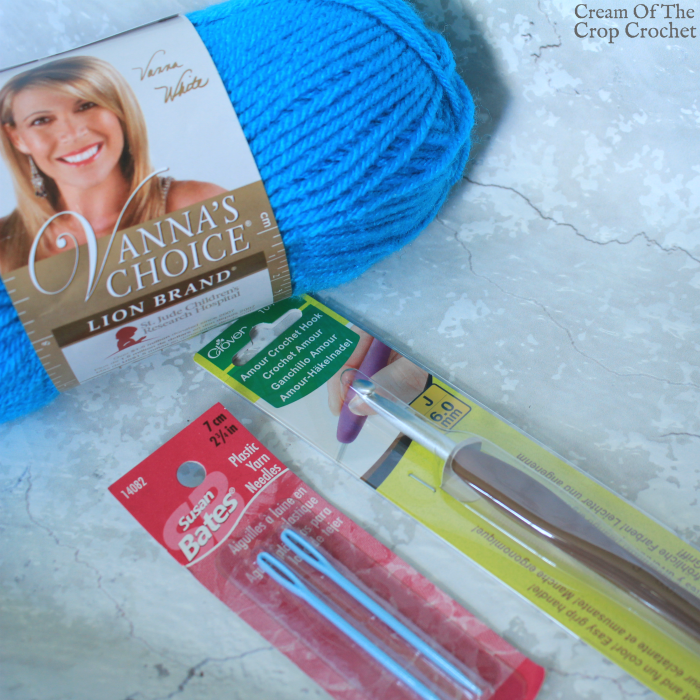 Maybe the fixings for a messy bun hat? I bet it’s a hat! Hmmm, holiday related, one skein of yarn……a nice scarf? a cool hat? an ornament(s)? racking my brain, but that’s all I’ve got….this is fun!! My guess is wrist warmers ? A cowl for this winter? My guess is a scarf! Thinking a hat maybe? I’ve never used these hooks before but have heard they are wonderful! I think it might be fingerless gloves, also. 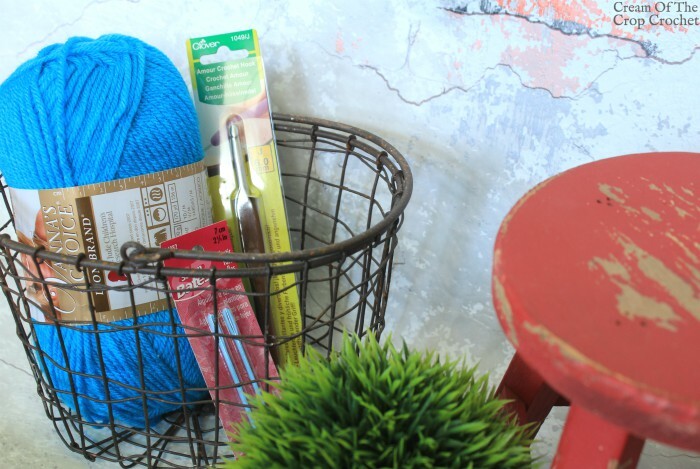 Great yarn color and hook! Is the new pattern a hat? looking at the amount of yarn, still hard to guess, scarf? Something princess or unicorn related!